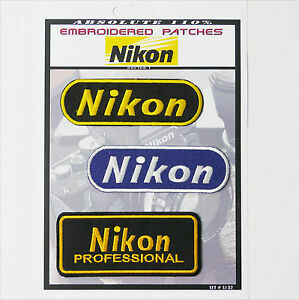 Details about NIKON CAMERA PATCHES Iron-On Patch Super Set #132 - FREE POSTAGE! NIKON CAMERA PATCHES Iron-On Patch Super Set #132 - FREE POSTAGE! Pay a maximum of GBP 4.95 postage on all eligible items from destinyone.